There was a time when small businesses and entrepreneurs would pale in comparison to larger corporations. The average consumer was unwilling to branch out and give other brands a try because they were simply comfortable with the bigger name brands, or had no clue that smaller businesses existed. Fortunately, modern technology and the internet has changed the game for smaller businesses and startups looking for a piece of the pie. Everyone who is anyone knows that when it comes to running a business, cash is king. When your finances are in order, your business has a better chance at success. Accurate bookkeeping is not only vital for managing cash flow, but for remaining in compliance with local and federal laws. Accurate invoicing on the other hand is necessary to maintain positive cash flow. Websites such as Hloom provides financial tools such as a free invoice guide which provides you with detailed information on the invoicing process, why it’s necessary, and how to create the perfect invoicing system for your business. Educating yourself and even utilizing some of the free invoicing templates offered can give your business a professional look while also helping you to stay on top of your cash flow. Bookkeeping software and applications can often be downloaded at an affordable cost. Such software allows you to do an array of financial tasks including creating a company budget, generating financial reports, managing your invoices, and even assist with payroll and employee relations. Clerical and administrative tasks within any business will require general office applications for accessibility and collaboration. You may already have word processing, spreadsheet, and presentation software on your computer, but collaboration and accessibility aren’t as easy. Newer platforms such as Google Drive, Open Office and Microsoft Office 365 offer general office platforms for small businesses to take advantage of. Such online resources allow for easier access to documents, files, and templates you may have saved. They also can be accessed anywhere there is an internet connection making it easy to access wherever you are. Cloud capabilities make it easy for teams to work on a file together and get updates in real time. Punctuality in business is extremely important, and managing a hectic schedule can often be a challenge. Online resources like Google Calendar, and Appointy provide real time solutions for scheduling and time management issues. Aside from being online calendars, many have features that include real time updates, syncing across various calendars, collaborating with other calendars (for instance another employee), and customized reminders so you never miss a deadline. In the age of information, staying on top of the latest small business trends is imperative. 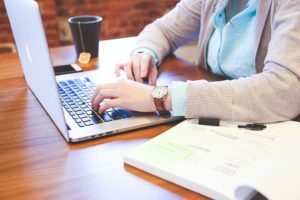 While going for training or taking courses every time something new evolves might be a bit costly, there are other online resources that businesses can take advantage of. Reputable blogs and government websites for instance offer a plethora of information. Blogs written by business professionals with a proven track record offer a third party view on how to tackle all things business. Government sites such as SBA.gov which is geared towards small businesses offers resources on everything from legal steps to take while starting a business and resources on how to make it successful. Having a home-based business or small business used to come with an automatic disadvantage to the competition. Today however, technology and the internet have helped to bridge the gap allowing small businesses to have a fighting chance at reaching the masses. Take the time to review online resources geared towards small businesses and use them to grow your brand. The other day one of my professors was talking about how there’s no excuse why someone can’t succeed. I think this post backs up what she said because it’s true that there are so many online resources and software that can help your business. It basically comes down to taking the time to search and find which ones would be beneficial for you.